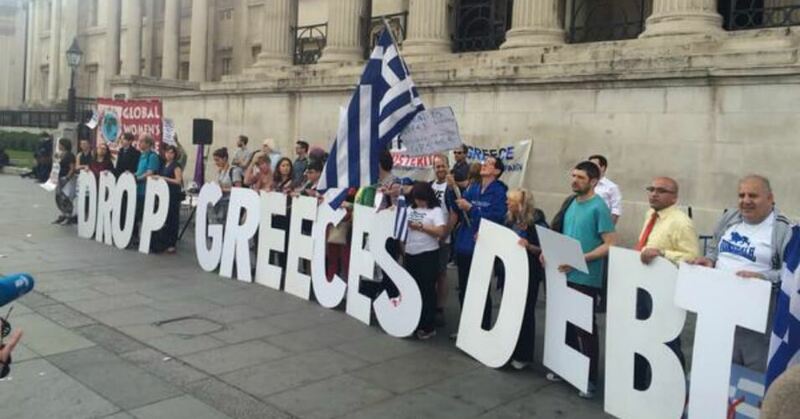 On Sunday, May 22nd, the Greek Parliament voted in favour of a new austerity package. The austerity measures include a raise in taxes of 2.8 billion euros, the largest privatisation programme in the history of the country and the acceptance of an automatic mechanism that triggers generalised cuts in the event of excessive budget deficits in the future. With this vote (during which only one SYRIZA MP dared to vote against the package, only to resign immediately after and promptly be replaced) Tsipras at the meeting with the Eurogroup claimed that “Greece had now done its homework diligently”. The purpose of the meeting was to free up 5 of the 86 billion euro Troika bailout rescue plan. [Note: At the meeting of the Eurogroup that ended today it was agreed that Greece will receive more than €10bn to avert default in the coming period]. Indirect taxation is now due to increase from 23% to 24% on many types of goods: petrol, cigarettes, coffee, internet and pay tv. New taxes are also going to be set on properties and wages. It is important to note that on May 9th, the Greek Parliament had already voted for a 3.6bn euro cut in pensions and a raise in direct taxations on wages equivalent to 3% of GDP. There are two main new points in this latest austerity package. First, the new privatisation fund will oversee the sale of state properties for the next 99 years. It will be controlled by the European Union: two members of the Supervisory Board will be directly appointed by Brussels, while the remaining three will be nominated by the Greek government – after approval by the foreign “partners”. The programme of privatisations will include the Athens public transport system (buses, trams and the underground), the Olympic Stadium, the postal services, the water companies of Athens and Thessaloniki, the state armaments industry, the state electricity company, and the public housing agency. Secondly, there will be the creation of an “automatic correction mechanism”. Should Greece fail to meet the target set by the Troika in exchange for the rescue package, a 3.5% primary budget surplus in 2018, a budget adjustment, i.e. a cut, of 2% of GDP would automatically and immediately kick in. This measure in the previous weeks had been rejected by the Minister of Economy Tsakalotos, as the Greek Constitution does not allow the Parliament to adopt “pre-emptive” economic measures. It is evident that this legal obstacle has been quickly circumnavigated by the laws of the capitalist economy. 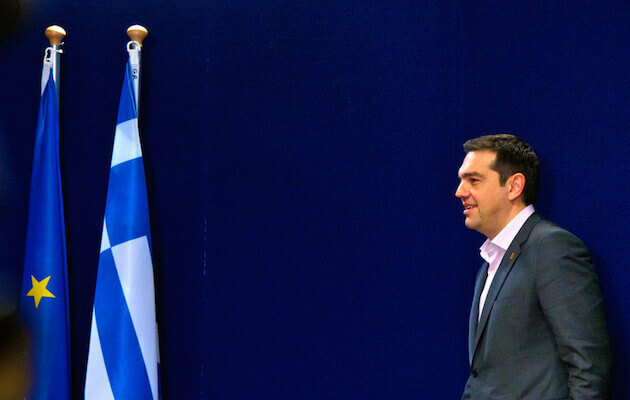 In just a few months, the SYRIZA-ANEL government completely betrayed all the promises it had made previously, not only during the election campaign of January 2015, but also in that of last September, after its capitulation to the Troika. The most glaring aspect of this “blood and tears” policy, imposed on Greece by the international institutions and by the Greek bourgeoisie, solved nothing. 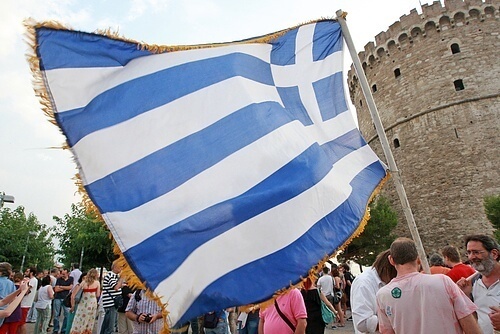 In 2009 the Greek debt amounted to 126.7% of GDP, while today it stands at 176,9%. Unemployment rose to 25% of the total workforce in 2015 (it was less than 10% in 2005), while wages went down by more than 20% between 2010 and 2014 (Source: Eurostat). The EU and IMF understand that this situation is “unbearable”, and it should surprise no one that the IMF proposed a moratorium on Greek debt until 2040. By the same token, we should not be surprised by the fact that Germany has opposed such a moratorium, as Athens’s creditors are mainly the EFSF (European Financial Stability Facility), the BCE and the European governments, while the IMF is only partially involved in the short term. However, although the international bourgeoisie may be divided on what future strategies to adopt, it is very much united on what to do now: make the Greek and European masses pay for the debt and the crisis. In its insistence on austerity measures it has found a precious ally in SYRIZA with its classic reformist “two-stage” theory – i.e. today we make sacrifices in order to be better off tomorrow – which has spelled disaster for the poorer classes. Even on the topic of human rights, the SYRIZA-ANEL government gave in. With the March 18th EU-Turkey agreement, Athens accepted to send migrants and refugees back to Turkey. The idea was to gain benefits in other fields, but the concrete results are now evident to everyone. To put it simply: the capitalist European Union cannot be “reformed”; it must be overthrown. 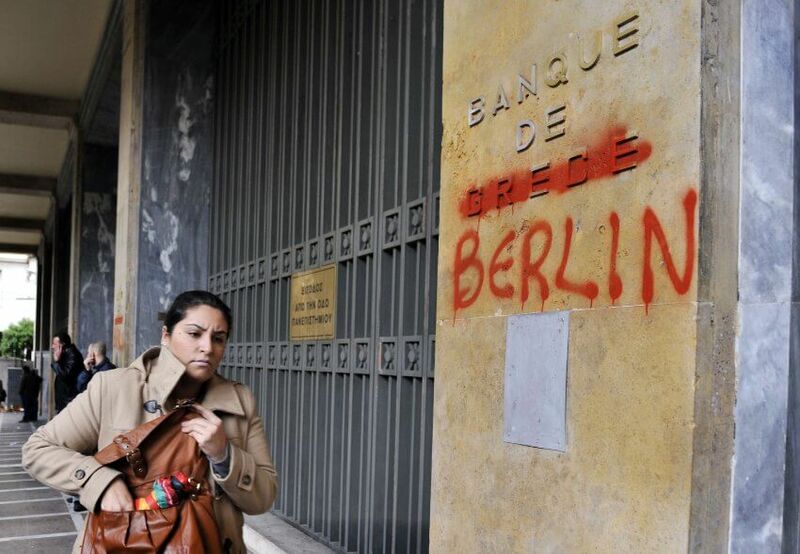 After a period of confusion, the workers and youth of Greece are fighting back. Last Sunday, thousands of people protested in Syntagma Square against the laws which were being approved by the Government. As our Greek comrades in the Communist Tendency explain, what is needed is a united front of all trade unions and left-wing organisations that are still fighting the Memorandum, based on a revolutionary programme for the overthrow of the capitalist system, as the only way out of the present impasse.